Being happy at work is something we all struggle with at some point in our lives. For many of us, work is stressful, tough and something we do only to make a living. But do you know how much time you spend at work during your lifetime? Work occupies at least one-third of your life. During your adult life, you spend more time at work than any other activity except for sleeping. It is a great time to take stock of your work life and reflect over what makes you happy and what you would like to change. To help you reflect, I would like to share 6 ingredients identified during my 11 years of training and coaching managers and teams all over the globe. 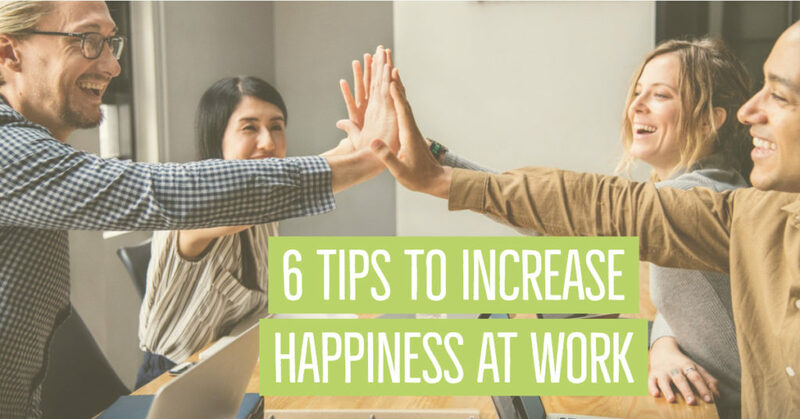 These tips are key for building and foster happiness at work. Know “your why and your what”. This will help you decide which direction is right for you. By developing our self-awareness, we can explore the avenues open to us more easily and make better choices. It is also important to understand your talents, strengths and motivations, as well as clarify your career expectations. Don’t get bogged down in your to-do lists, action plans and the tasks you haven’t yet completed. Instead, focus on what you have achieved, however small these steps forward may be. By focusing on and celebrating our positive outcomes and contributions, we can feel more fulfilled every day. Strong, supportive relationships have a positive impact on our health and happiness. We all know that people “join a company, but leave a boss and/or colleagues”. Trusting, meaningful relationships are crucial for us to be happy. An important step for happiness and well-being at work is a choice to make. Who is responsible for your happiness at work? As long as you sit and wait for your manager, company or colleagues to make you happy, not very much will happen. Things will start to move and improve only when you choose to act. Concretely, it can simply mean being proactive and seeing where and when you can use your influence to improve your situation at work. For any good plan to succeed the first step is clarifying your goals. Don’t automatically assume that your goals have to be about doing enormous and difficult things. It might just as simply be about getting on better with your co-workers, working on a specific project… Make a plan that’s fun rather than ambitious. Do one small thing every day. Follow up without stress and pressure. Remember: Making even the smallest change to your work life can make a big difference to your happiness! NextNext post:Why should I be led by YOU?